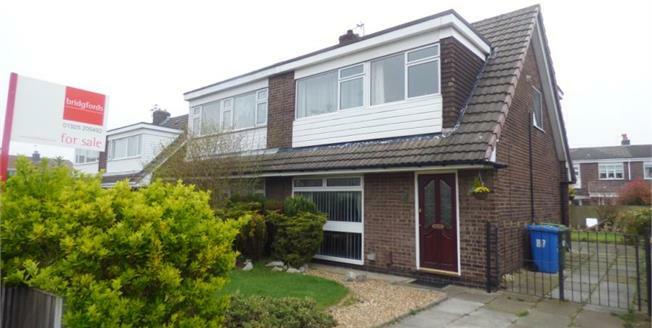 Positioned in a quiet cul-de-sac is this spacious three bedroom semi detached house located in Great Sankey. The accommodation is arranged over two floors with the ground floor boasting a hallway access to the lounge and kitchen. The through lounge measures over 23ft in length and allows access to the rear garden via patio doors. The kitchen is located to the rear and again allows access to the rear garden. The first floor offers three well sized bedrooms and a family bathroom. Externally the current owner has maintained the gardens to a high standard which boasts well stocked lawned gardens to both the front and rear and offering a paved driveway which leads to the side and allows parking for several cars.